NASA's Cassini spacecraft is back in contact with Earth after its successful first-ever dive through the narrow gap between the planet Saturn and its rings on April 26, 2017. The spacecraft is in the process of beaming back science and engineering data collected during its passage, via NASA's Deep Space Network Goldstone Complex in California's Mojave Desert. The DSN acquired Cassini's signal at 11:56 p.m. PDT on April 26, 2017 (2:56 a.m. EDT on April 27) and data began flowing at 12:01 a.m. PDT (3:01 a.m. EDT) on April 27. 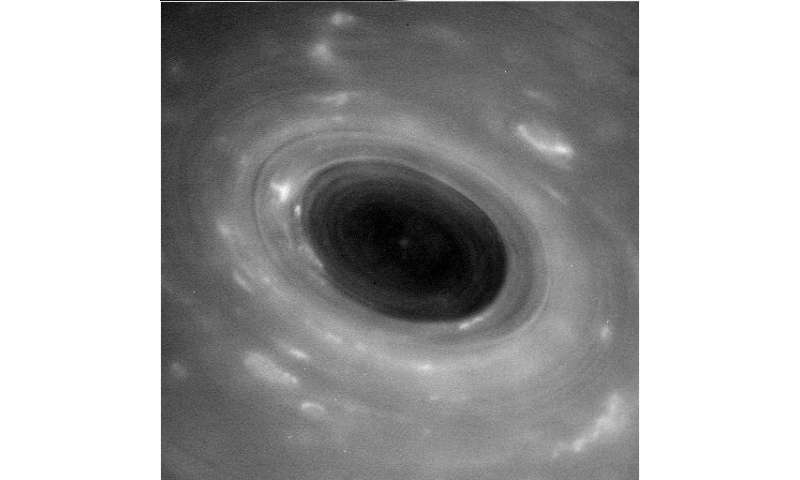 As it dove through the gap, Cassini came within about 1,900 miles (3,000 kilometers) of Saturn's cloud tops (where the air pressure is 1 bar—comparable to the atmospheric pressure of Earth at sea level) and within about 200 miles (300 kilometers) of the innermost visible edge of the rings. Launched in 1997, Cassini arrived at Saturn in 2004. 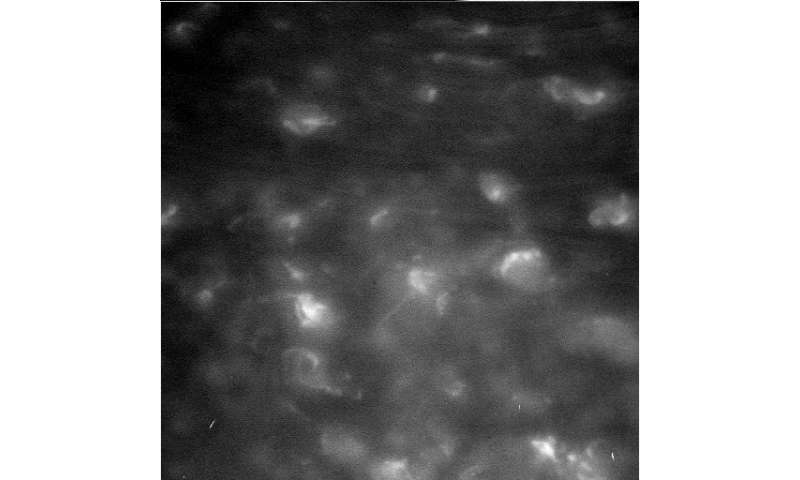 Following its last close flyby of the large moon Titan on April 21 PDT (April 22 EDT), Cassini began what mission planners are calling its "Grand Finale." During this final chapter, Cassini loops Saturn approximately once per week, making a total of 22 dives between the rings and the planet. Data from this first dive will help engineers understand if and how they will need to protect the spacecraft on its future ring-plane crossings. 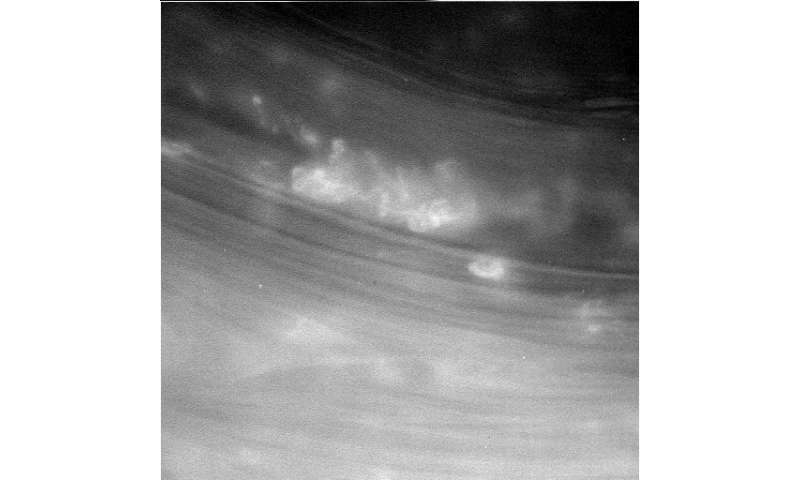 The spacecraft is on a trajectory that will eventually plunge into Saturn's atmosphere—and end Cassini's mission—on Sept. 15, 2017. Now we have irrefutable evidence of a black hole....my apologies for thinking they didn't exist. The pole of a planet is a weird place to find one though.